In the August 1924 edition of The Geographical Journal, the Royal Geographical Society republished a notice from Monsieur Raoul Montandon, then-president of the Geographical Society of Geneva. The Geneva group was finalising a new series, entitled Materiaux pour l’Étude des Calamités, in honour of the International Red Cross Committee. Both the Geneva and London societies, as well as G Ciraolo, president of the Italian Red Cross, hoped to galvanise as much support as possible amongst geographers to assist in editing Materiaux. In so doing, the societies sought to fashion a truly international journal, bridging the divide between medicine, international affairs, and geography. The joint call came at a propitious moment in the Red Cross and the RGS’s history. The non-sectarian, non-governmental movement, which celebrated its one hundred and fiftieth anniversary this week, had recently recovered from its massive undertakings on both sides in the First World War, and was well-poised to take advantage of international sympathies, as expressed by the League of Nations, in particular, towards preventing another world war. Indeed, geographical societies, the Red Cross, and the League of Nations were deeply linked. The Red Cross (and Red Crescent after 1919) stands as one of the few success stories in twentieth century international cooperation. Geographers and explorers became involved early in the organisation’s modern development. Fridtjof Nansen, a geographical polymath who sailed schooners, reached towards the north pole on drifting ice flows, sketched arctic landscapes, tested scientific theories in Greenland, and served as Norway’s (then newly-independent from Sweden) first ambassador to the United Kingdom, helped lead the Red Cross’s humanitarian efforts in Russia and Armenia immediately following the vicious Civil War. For these efforts, he was awarded the 1922 Nobel Prize. He worked with both the Red Cross and the League of Nations until his death in 1930, hoping to prevent another catastrophe on the scale of the 1914-1918 war. Nansen was by no means alone in aiding the Red Cross’s mission. 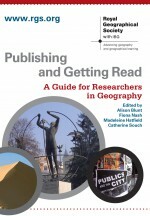 An examination of The Geographical Journal‘s obituaries revealed a number of geographers and explorers who worked with the Red Cross and to spread geographical knowledge. May French Sheldon, one of the first women elected to the RGS fellowship (1892), was an itinerant explorer in the mould of Jules Verne’s Phileas Fogg who travelled three times around the world and was the first female to lead an expedition into Central Africa. In the First World War she embarked on an international lecture tour to raise money for the beleaguered Belgian Red Cross. Just as Sheldon fashioned her own geographical career, Prince Iyesato, head of Japan’s Tokugawa family (who had lost power in 1867, but were eventually restored to leading the House of Peers) was elected a Life Fellow of the RGS for his lifelong interest in and support of geographical endeavours. As an unofficial patron, he travelled to London to attend the Society’s 1930 centenary celebration. In the 1920s, he directed the Japanese Red Cross, sending volunteers to aid in the Great War’s aftermath, as well as undertaking responsibilities on behalf of Japan at the League of Nations. 1924, Scientific Study of Natural Catastrophes, The Geographical Journal, 64, 2, 191-92. Brown, R. N. Rudmose, Obituary: Fridtjof Nansen, The Geographical Journal, 76, 1, 92-95. 1936, Obituary: May French Sheldon, The Geographical Journal, 87, 3, 288. 1940, Obituary: Prince Iyesato Tokugawa, The Geographical Journal, 96, 6, 451. Austen, Nancy Virginia, 1921, “Prince Tokugawa, Heir of Japan’s Last Shogun“, New Outlook, 129, 514-15. “Red Cross celebrates 150th anniversary“, BBC News, 17 February 2013. This entry was posted in The Geographical Journal and tagged Belgian Red Cross, Central Africa, Cultural Geography, First World War, Fridtjof Nansen, Geographical Society of Geneva, Global Issues, Italian Red Cross, League of Nations, Materiaux pour l'Étude des Calamités, May French Sheldon, Nancy Virginia Austen, Nobel Prize, Norway, Phileas Fogg, Political Geography, Prince Iyesato Tokugawa, Raoul Montandon, Red Crescent, Red Cross, Red Cross Red Crescent, Royal Geographical Society, Rudmose R.N. Brown, Russia, Social Geography on February 18, 2013 by Benjamin Sacks.